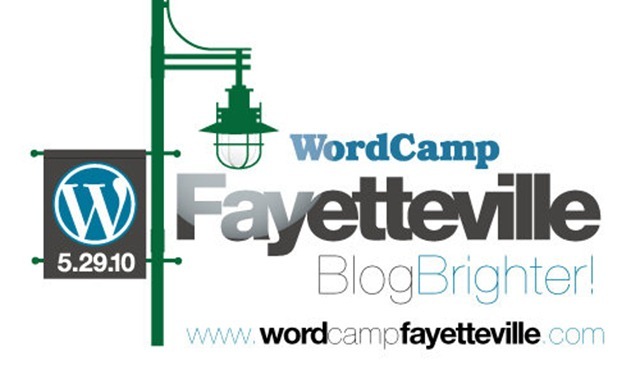 I just became aware of WordCamp Fayetteville, Arkansas’s first WordPress-related conference. I am very excited to see this event come to our area. This is a great opportunity for bloggers in the Northwest Arkansas Area together and learn and share. The event scheduled for May 29 and 30 in Fayetteville, Arkansas. The main conference will be held Saturday at the Fayetteville Town Center, but don’t miss the ‘unconference’ day Sunday at The New Design School. You can register for the even here, tickets are $30. I am contacting the organizers to find out more about the event and what their volunteer needs are. I will update this post with any new information I find. Join your local MSDN Events team as we take a deep dive into Cloud Computing and Windows Azure™. We'll start with a developer-focused overview of this new platform and the cloud computing services that can be used either together or independently to build amazing applications. As the day unfolds, we'll explore data storage, SQL Azure, and the basics of deployment with Windows Azure. Register today for these free, live sessions in your local area. The Windows Azure platform is a set of high-performance cloud computing services that can be used together or independently and enable developers to leverage existing skills and familiar tools to develop cloud applications. In this session, we'll provide a developer-focused overview of this new online service computing platform. We'll explore the components, key features and real day-to-day benefits of Windows Azure. SESSION 2: Survey of Windows Azure Platform Storage Options Durable data storage is a key component of any cloud computing offering. Windows Azure does not disappoint, with three forms of durable storage: tables, blobs, and queues. In this session, we'll explore the highlights of these three important implementations and how to both create and use each form. Because many applications require a relational database, we'll show you how to utilize SQL Azure to store your SQL Server® databases in the cloud. We'll also tackle account names, using Azure data storage for ASP.NET session state, plus scaling and configuration with Windows Azure. Windows Azure features a powerful, yet simple deployment model. By focusing on your application and abstracting away the infrastructure details, you can deploy almost any app with minimal fuss. In this session, we'll walk you through the basics of Windows Azure deployment, including site monitoring, diagnostics and performance issues.